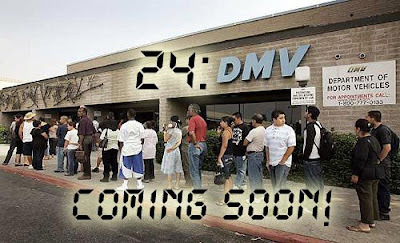 The Jack Sack™: 24: DMV COMING SOON! 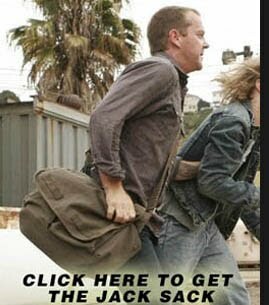 If "Law & Order" can have their acronym-tagged spin-off "SVU" then why not let Jack Bauer & Co. have their fun too? Check back later tonight for a new entry into our "24" fan-fiction series featuring your favorite characters sweating it out in one of the most nerve-wracking places on Earth- the local Department of Motor Vehicles! OMG, I can hardly wait. Sit tight, it's actually coming later tonight. Today turned out a lot busier than expected (so much for a day off! ).